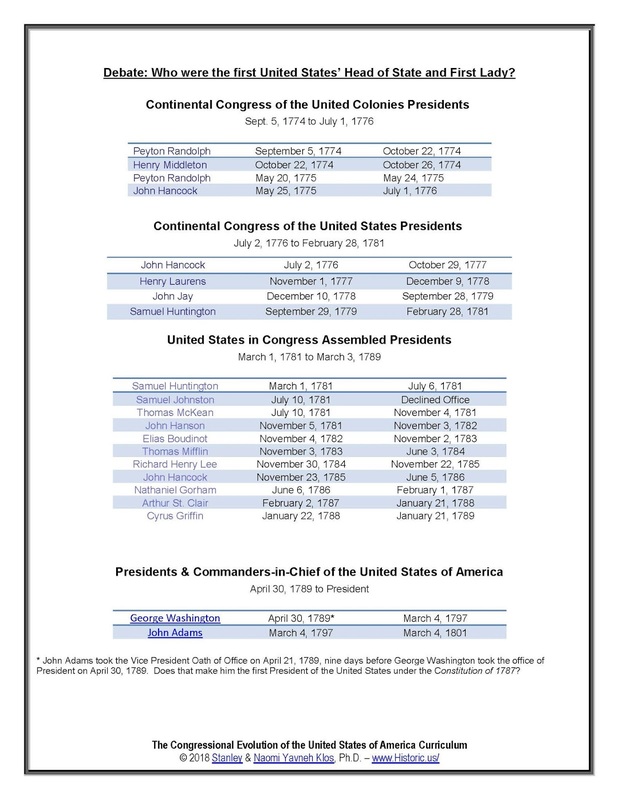 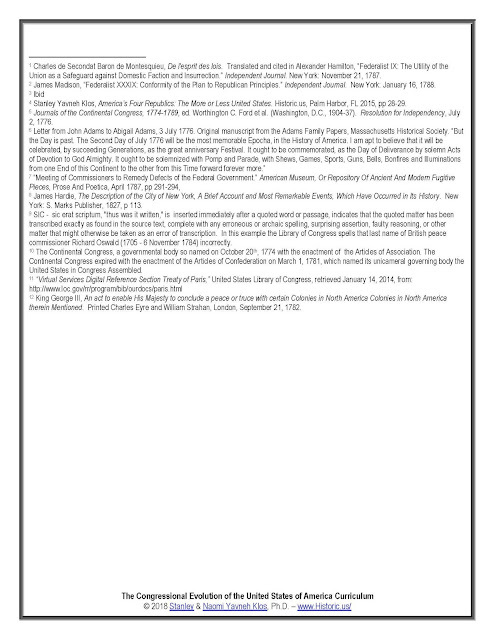 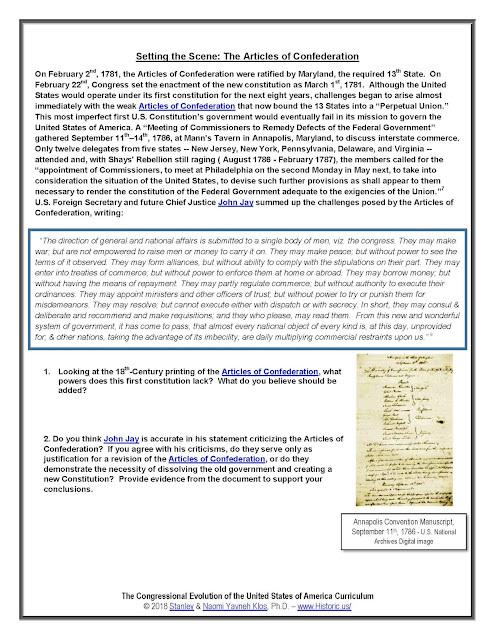 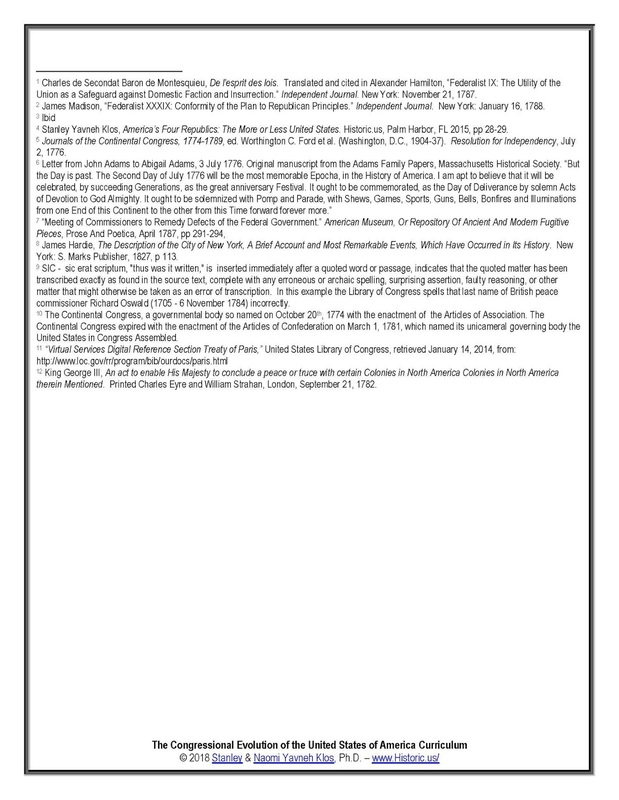 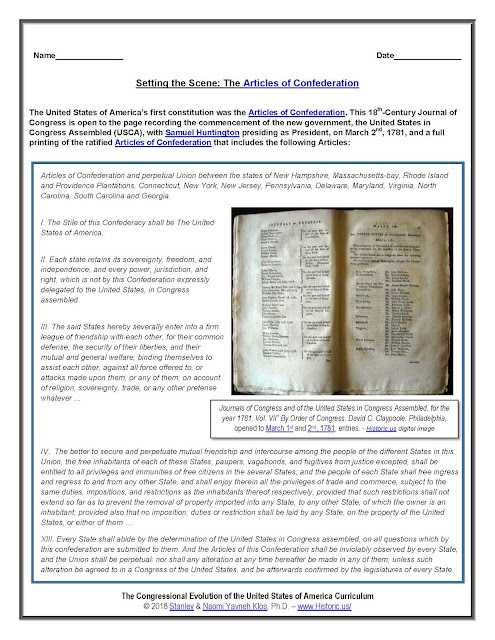 The Congressional Evolution of the United States of America (CEUSA) curriculum has been specifically designed to address these and key 1774-1791 political incongruities, which ultimately gave rise to the Congressional call for “…a Convention of delegates … to be held at Philadelphia for the sole and express purpose of revising the Articles of Confederation ...” The curriculum also addresses the Delegates decision to scrap the Articles of Confederation, frame the current United States Constitution and its first bicameral congress proposing, on September 25, 1789, twelve constitutional amendments for States’ ratification consideration. 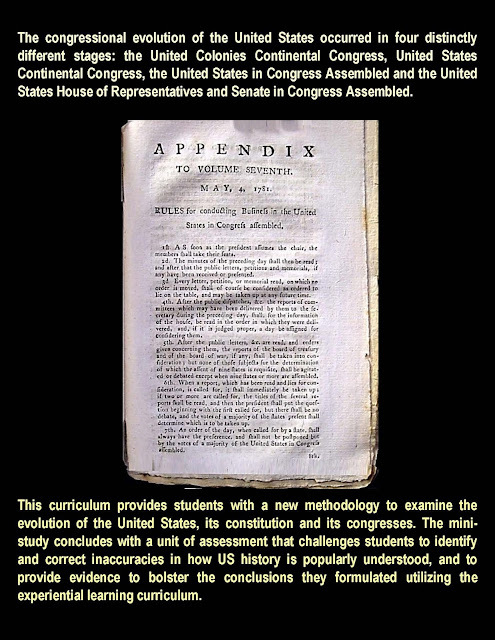 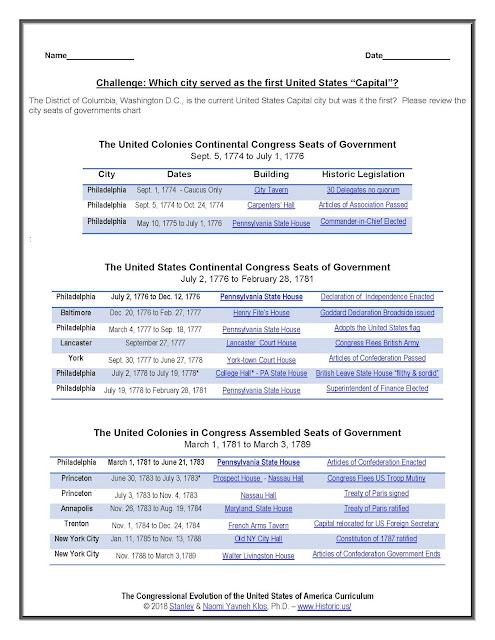 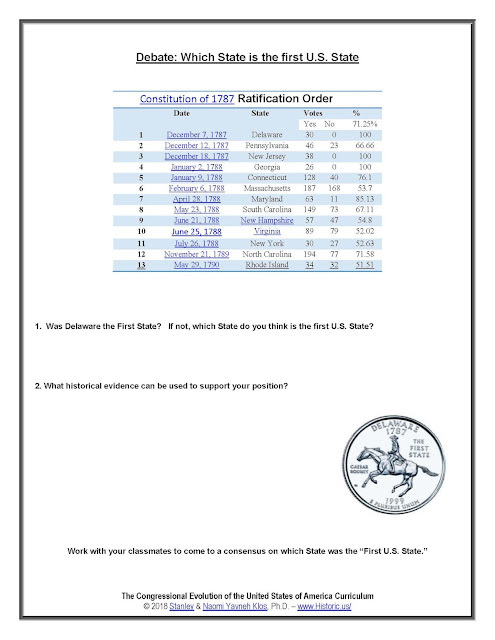 The examination of the United States under the lens of its Congressional progression provides students with a pedagogy that can help them understand numerous founding inconsistencies like United States officials heralding the nation’s birthdate as July 4, 1776, while the United States Mint produces Delaware “First State” quarters based on the State’s 1787 ratification of the current United States Constitution. 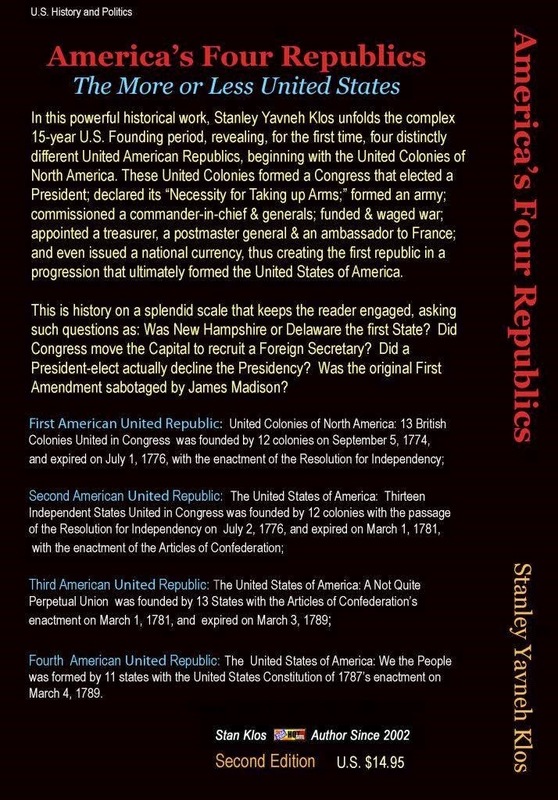 Were there not member states in the United States of America Republic between 1776 and 1787? In addition to releasing the Congressional Evolution of the United States curriculum, we are in the process of creating 20 new CEUSA Presidential Series videos. Four of the videos, First UCCC President Peyton Randolph, Second UCCC President Henry Middleton, Third USCA President John Hanson and Fifth USCA President Thomas Mifflin are completed and linked in the page tabs above on this website. 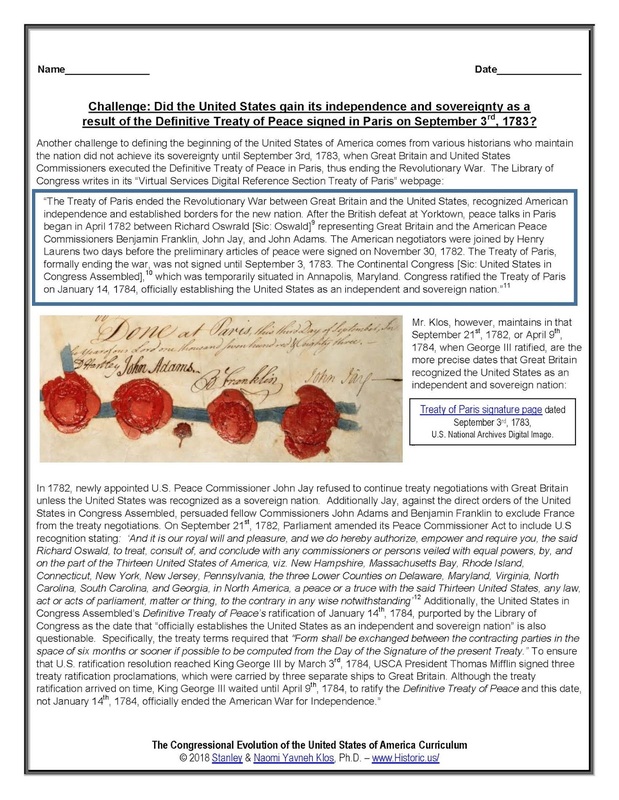 Finally, many of our former visitors may be wondering what happened to the America’s Four United Republics concept unveiled at the Annapolis Continental Congress Festival in 2012. No reservations, the scholarship is sound but the pedagogy was too controversial for introduction into the primary and secondary educational systems in the United States. 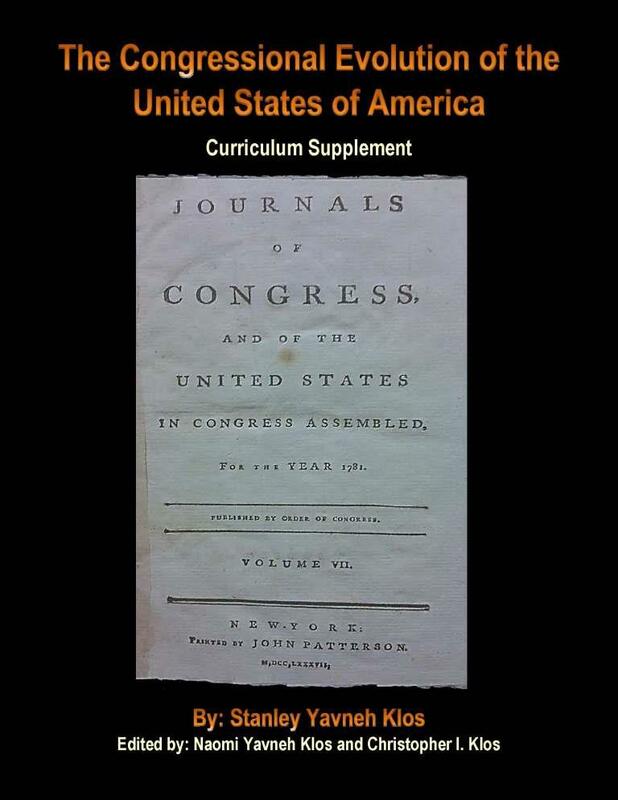 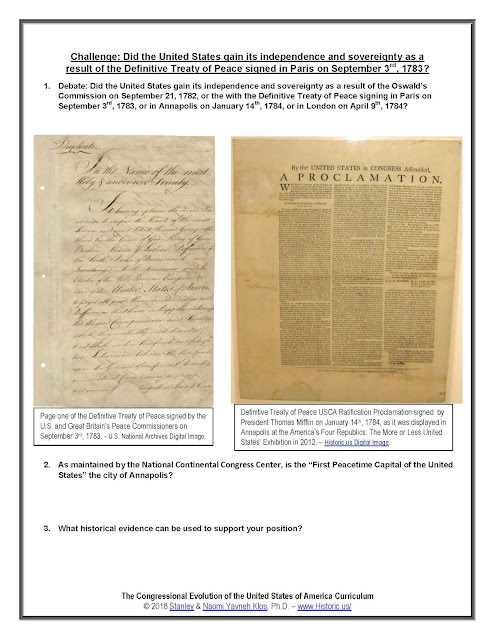 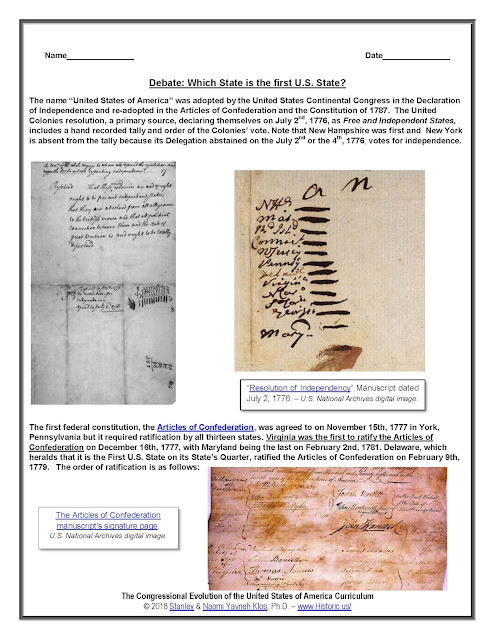 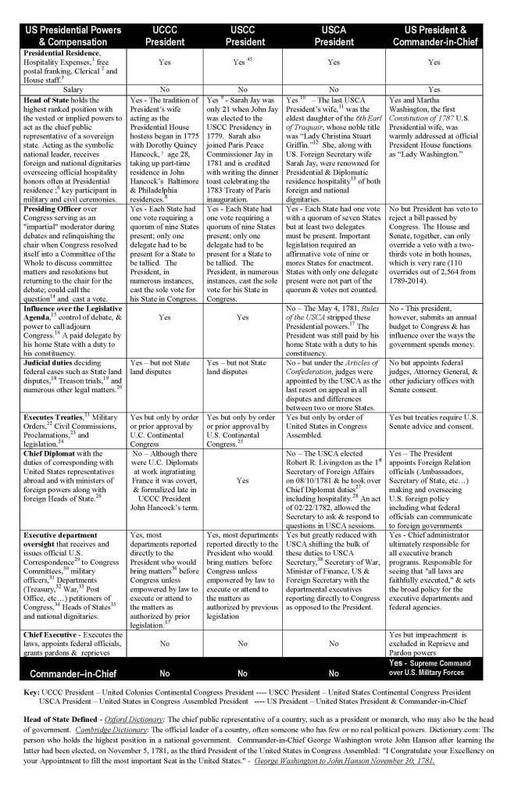 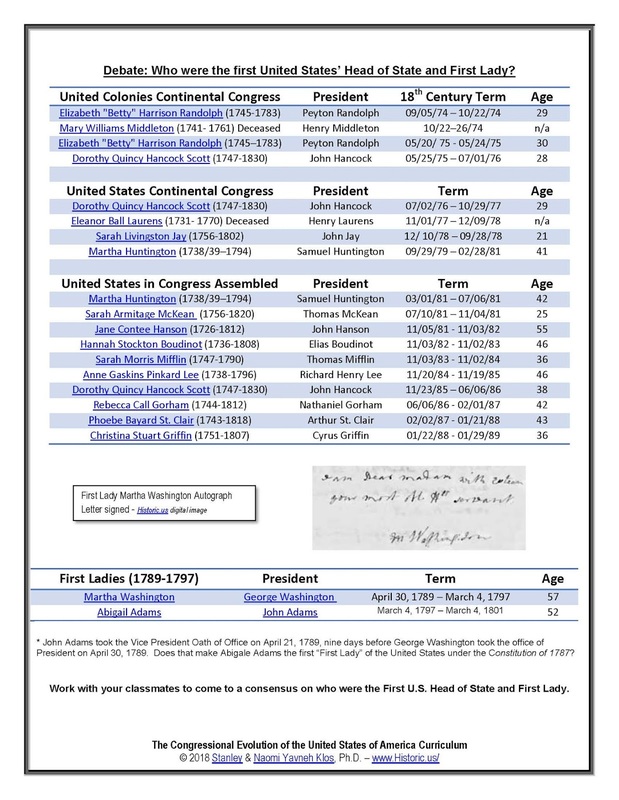 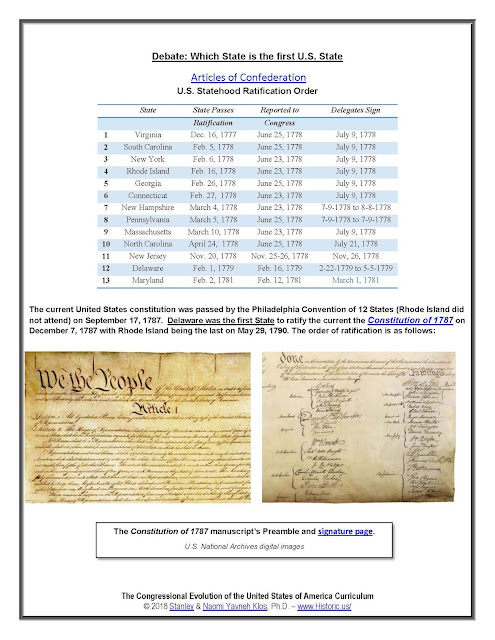 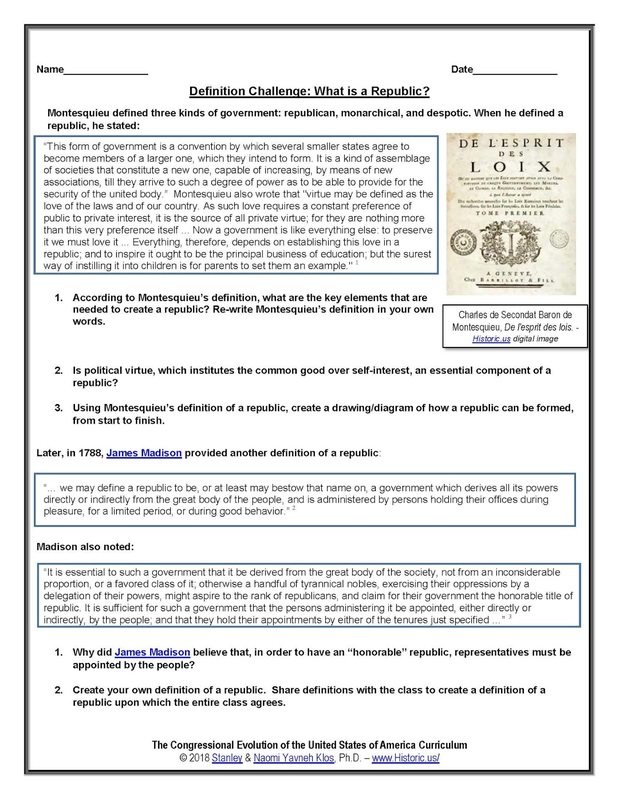 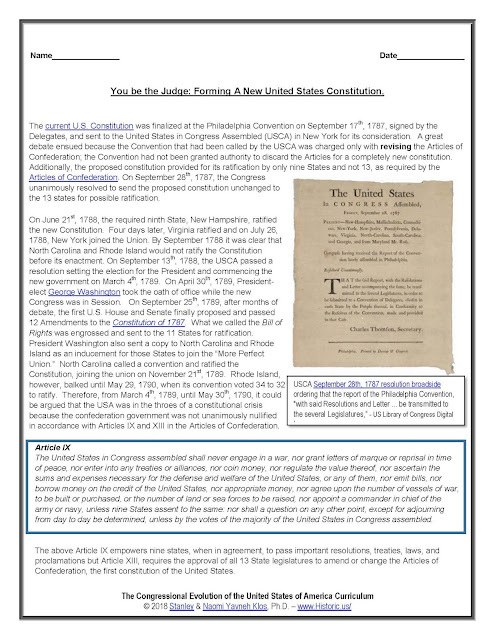 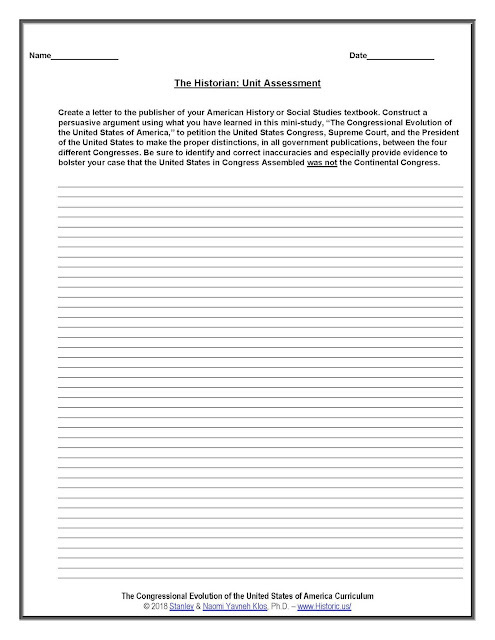 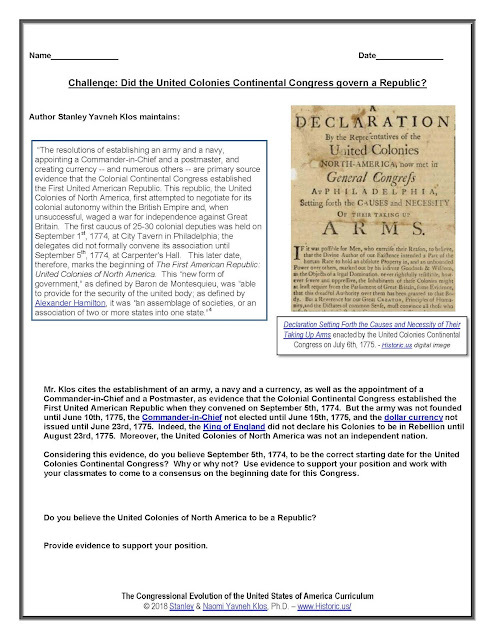 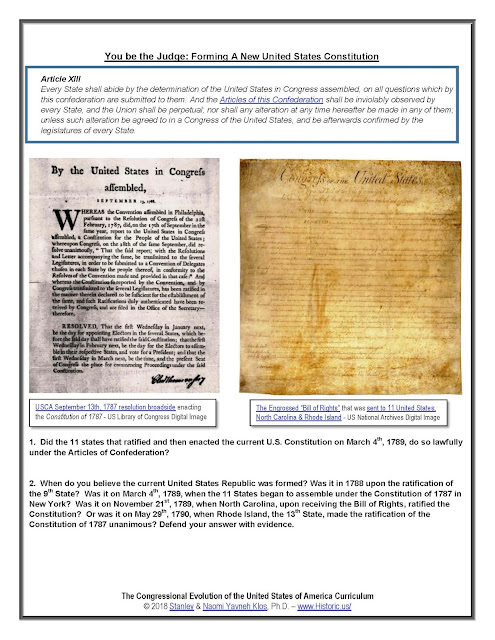 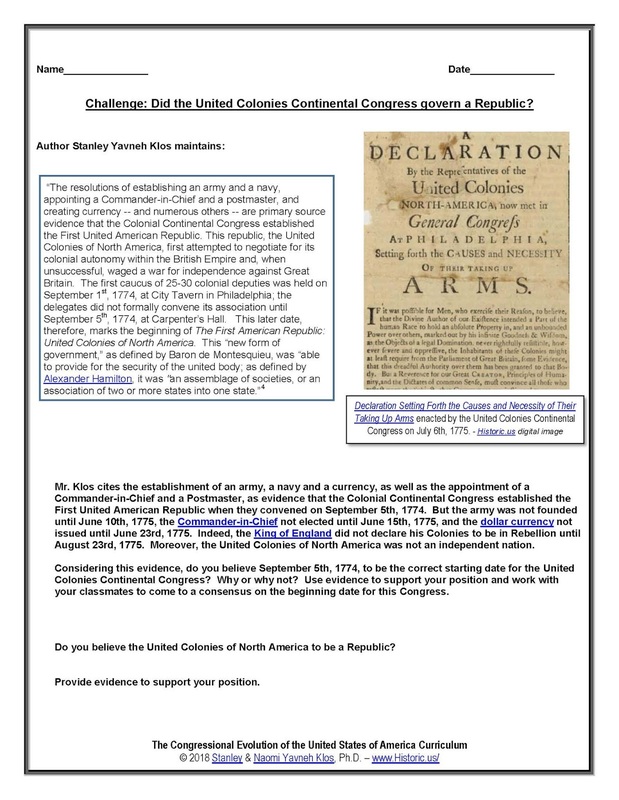 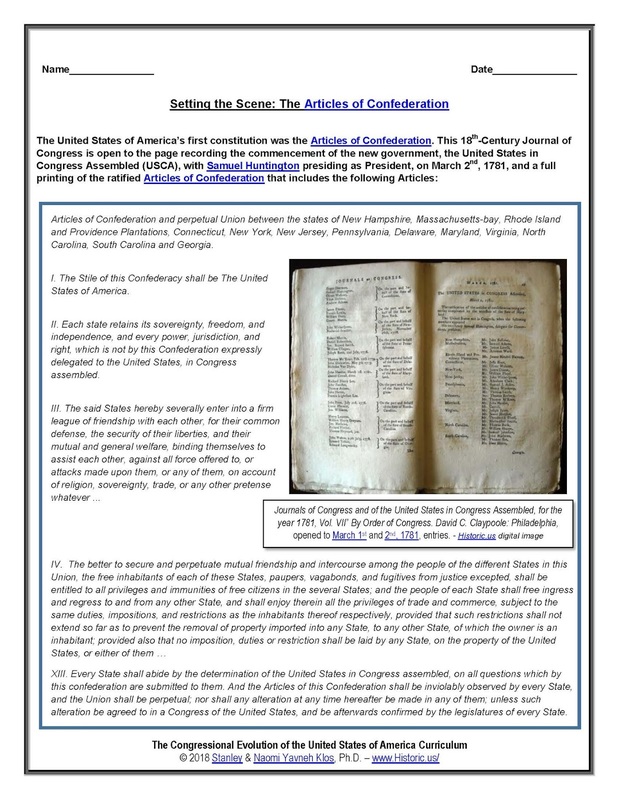 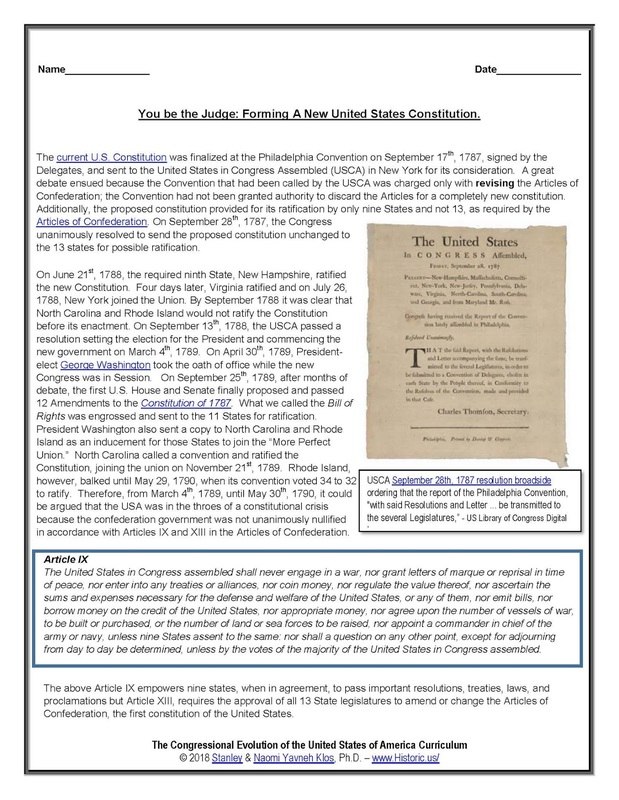 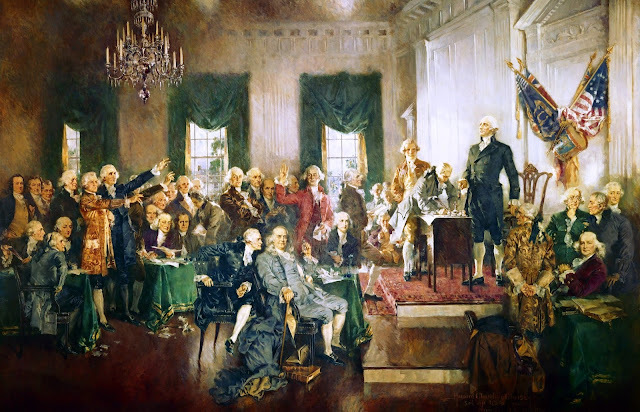 The Congressional Evolution of the United States Curriculum, however, does address the possibility of different United American Republics in its second module Challenge: Did the United Colonies Continental Congress govern as a Republic?. 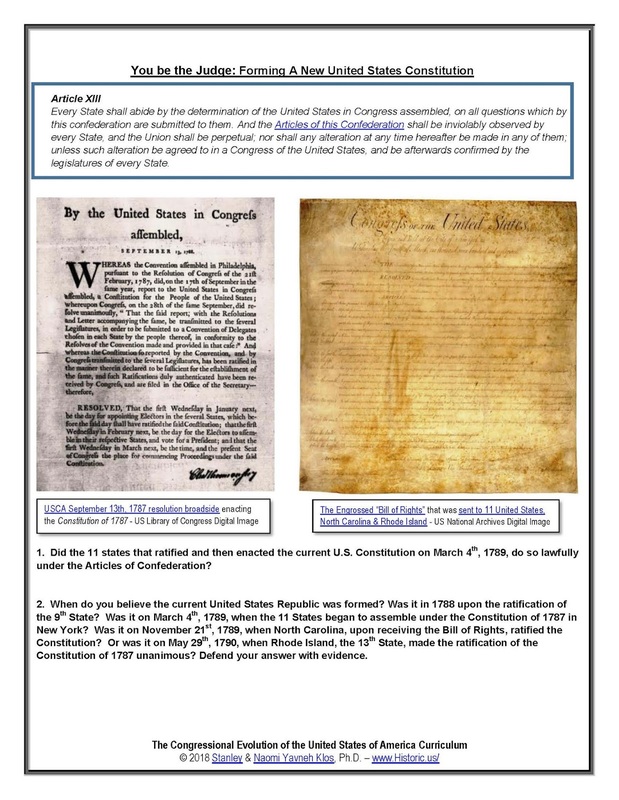 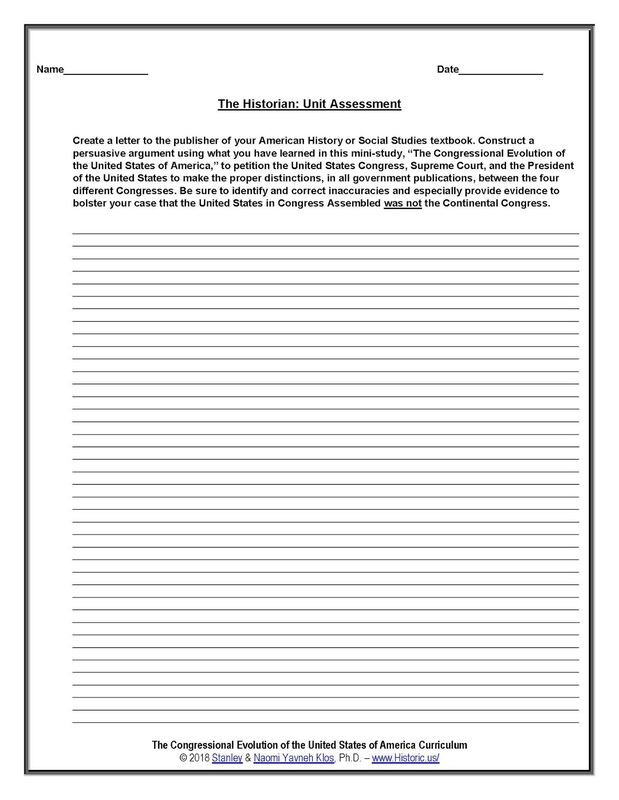 This module provides ample primary sources for students to arrive at their own conclusions. 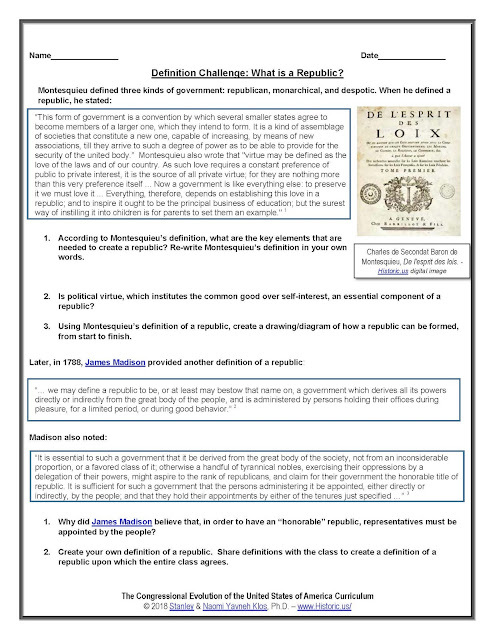 Definition Challenge: What is a Republic? 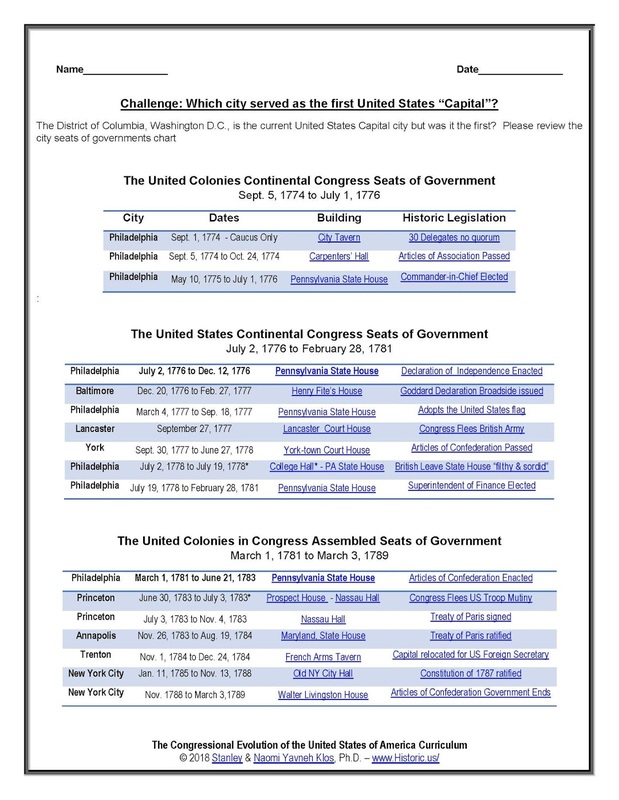 Challenge: Did the United Colonies Continental Congress govern as a Republic? 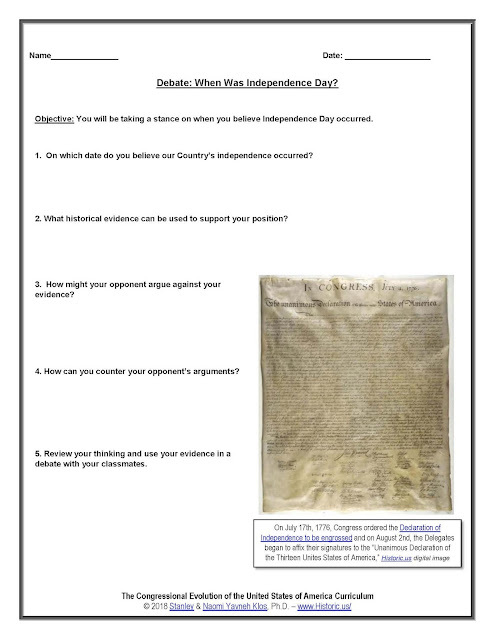 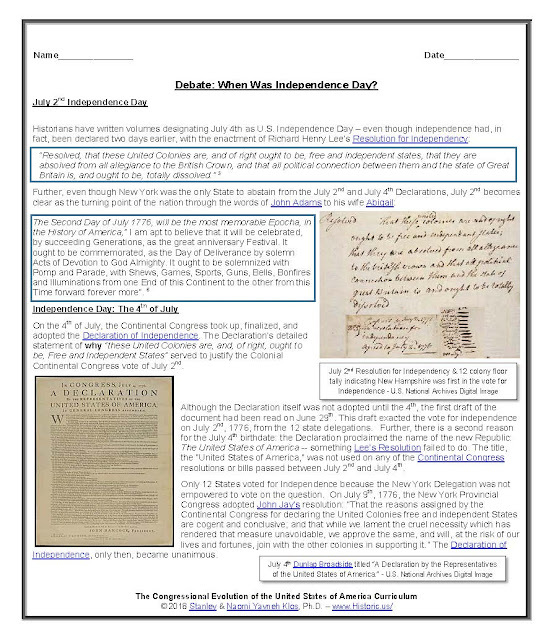 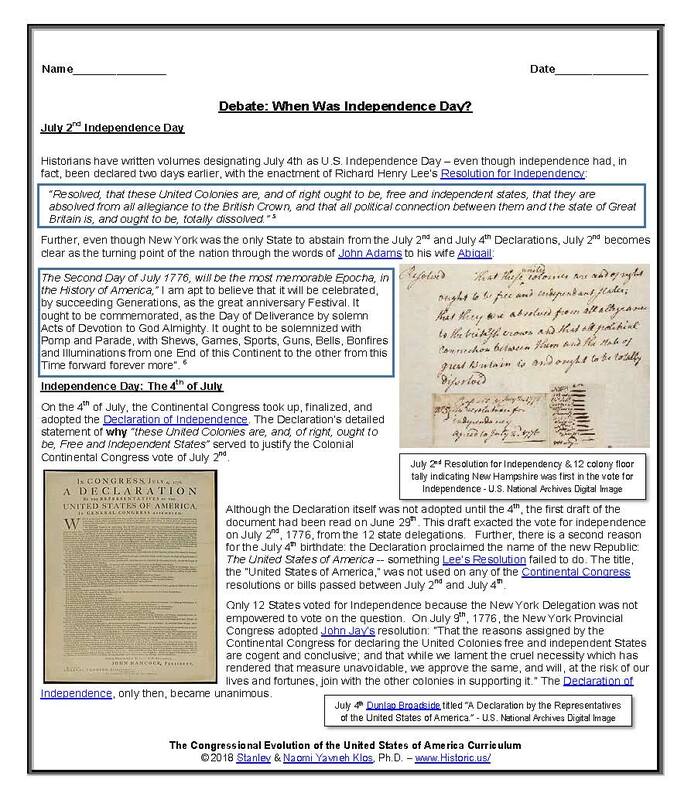 Debate: When Was Independence Day? Challenge: Did the United States gain its independence and sovereignty as a result of the Definitive Treaty of Peace signed in Paris on September 3rd, 1783? 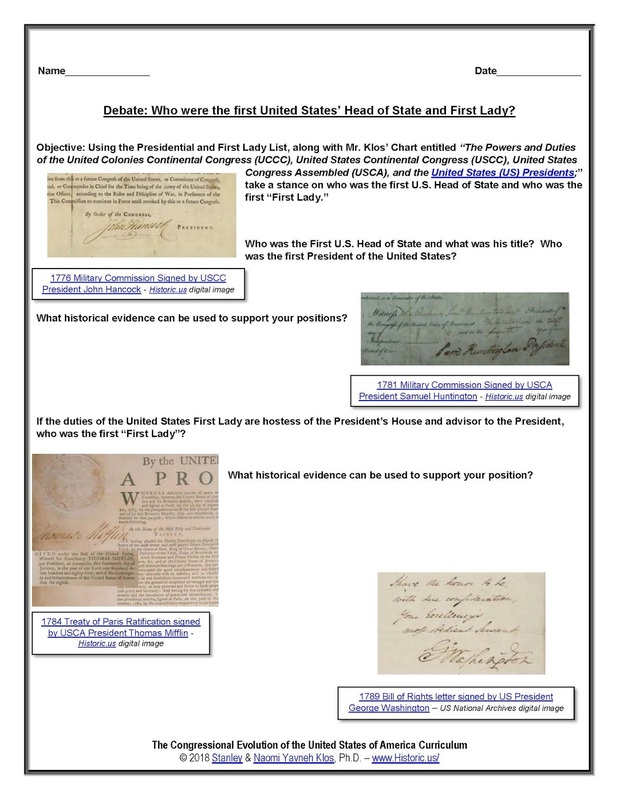 Debate: Who were the first United States’ Head of State and First Lady? Debate: Which State is the first U.S. State? 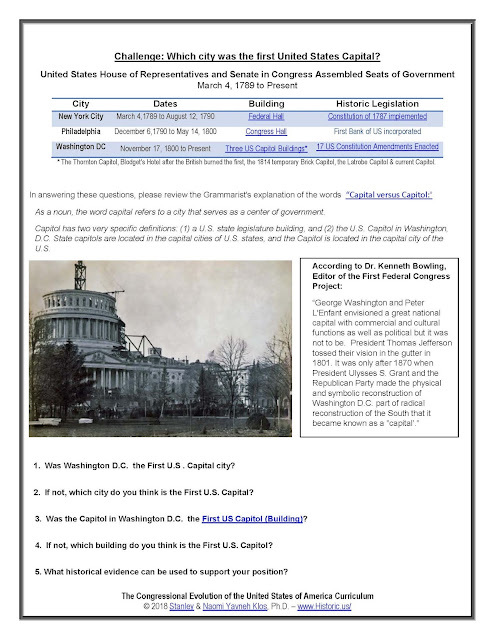 Challenge: Which city was the first United States Capital?